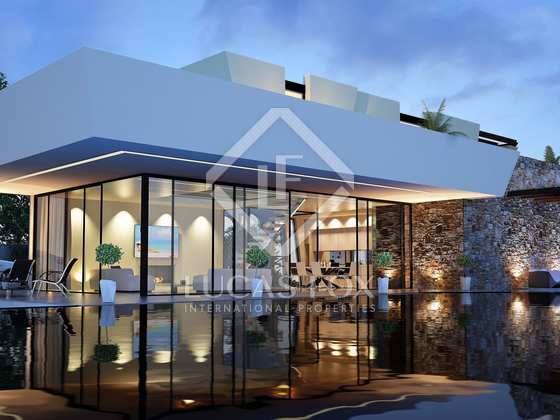 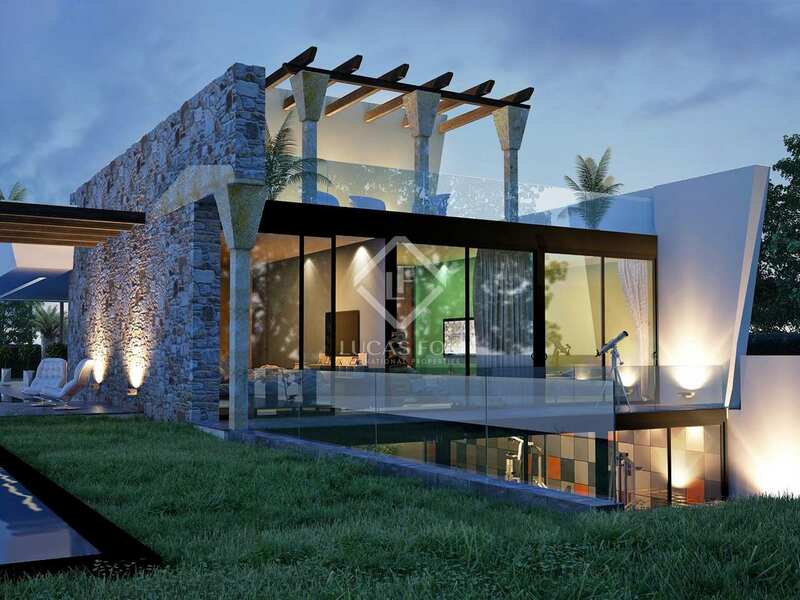 Contemporary designer house located in a very well established residential area of Nueva Andalucia, surrounded by luxury, ultra modern family houses. 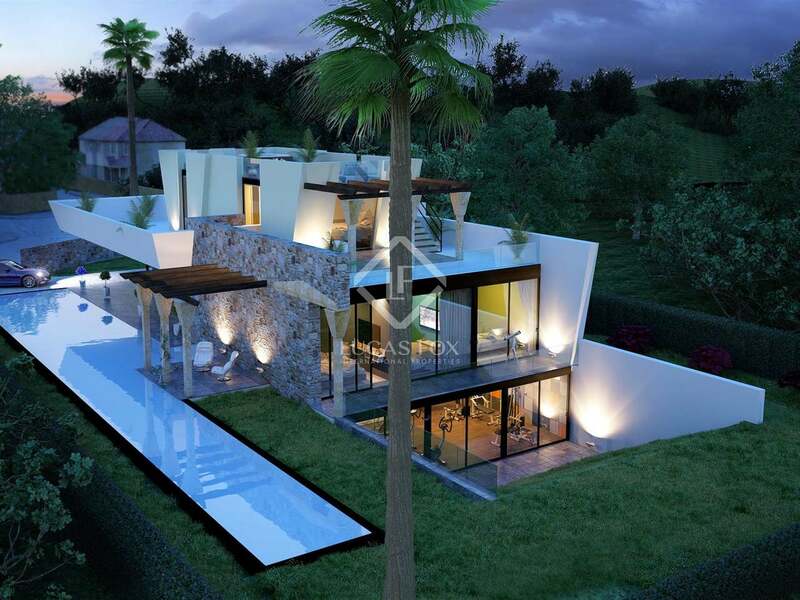 This particular property is currently under construction and is due for completion in the winter of 2016. 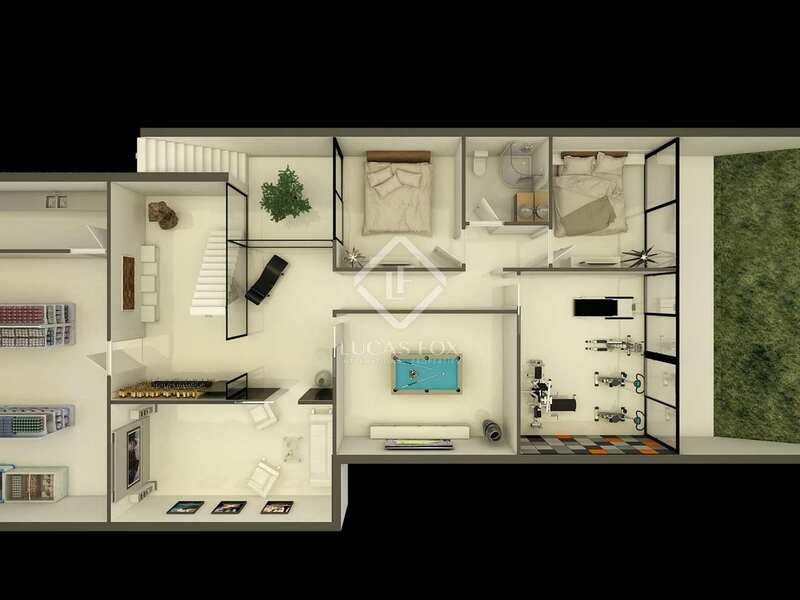 On the lower ground level we will find 1 bedroom and a generous space prepared for a cinema, cellar, gym and garage. 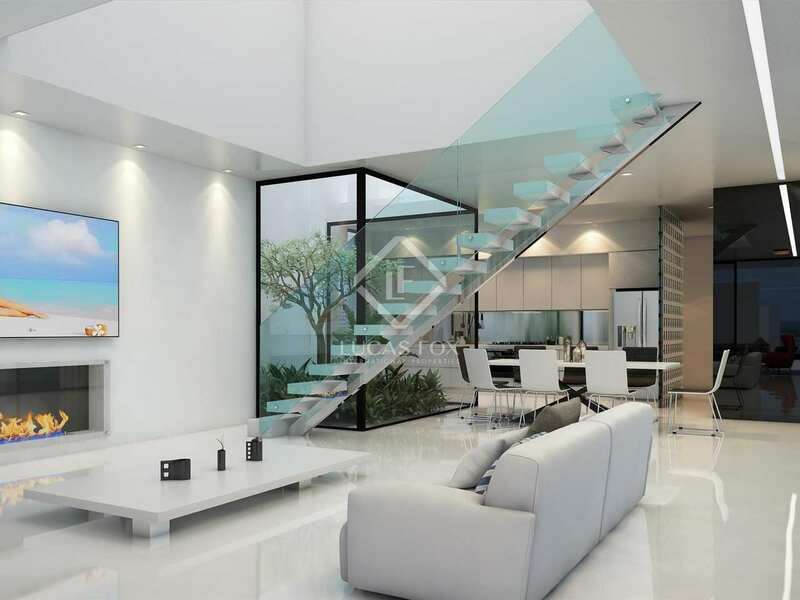 On the ground floor there will be a living room with an open plan kitchen, 2 double bedrooms with 2 bathrooms and expansive terraces bordering the swimming pool. 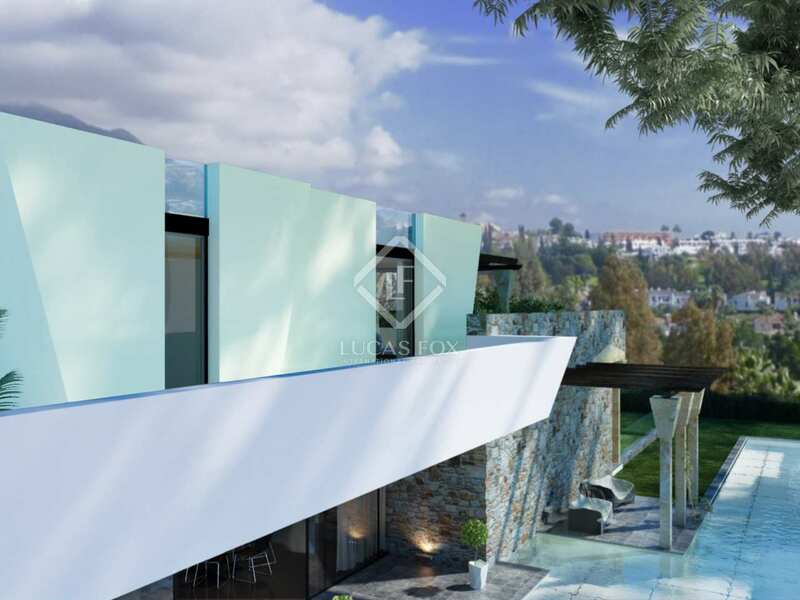 The upper floor will accommodate the master bedroom and bathroom, dressing room and provide access to the terrace and the chill out roof terrace. This is an exciting opportunity to acquire a very modern designer home with luxury features and finishes such as underfloor heating, home automation system, home cinema, gym, games room and an outstanding roof terrace with a jacuzzi with sea views. 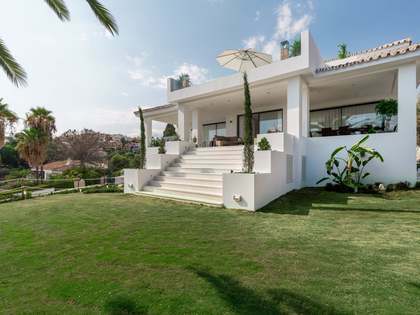 The property is conveniently located for access to golf courses, schools and Marbella. 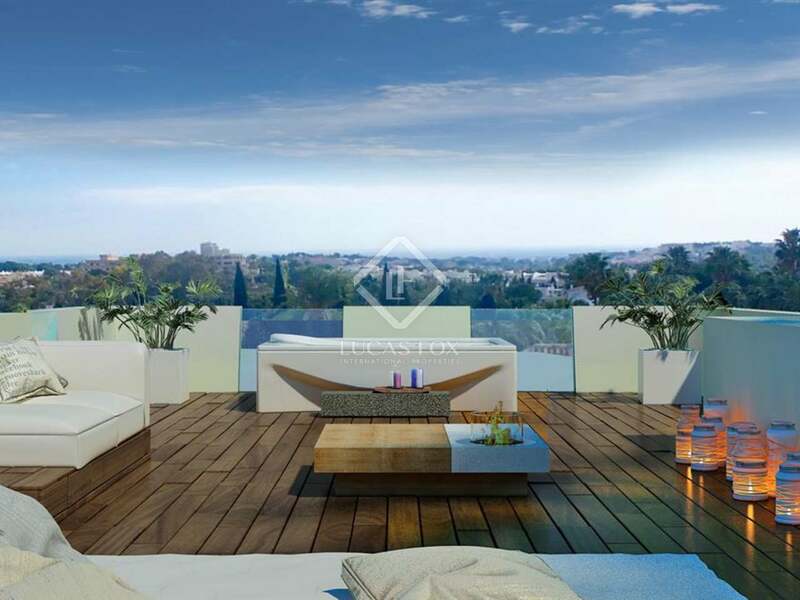 Property located in a well known and privileged residential area of Nueva Andalucia with high-end properties and easy access to golf ourses, schools, services, Marbella Town and the beach.